Brad Cooke, Upper School History Teacher, discusses a history lesson with students. Upper School English students engage in a writing exercise with a guest speaker from the Annual Whitfield Lecture Series. Director of Global Engagement and Inclusion Erica Coffey chats with students in The Sharp Academic Commons. Seating in the Upper School courtyard offers students an outside location for studying. At a year-end assembly, awards for excellence are given to deserving Upper School students. Collegiate offers a wide range of activities that broaden a student’s education beyond the traditional academic disciplines. Extracurricular club offerings allow students to explore and develop personal interests within organized student groups. In addition, Collegiate’s club structure allows students to develop leadership skills while embracing the concepts of teamwork and citizenship. Content for the newspaper (Match) and yearbook (Torch) is provided by students in classes which support those publications, and the literary magazine (Flame) functions as a club. All have junior and senior leadership and help from faculty advisors. Any student may participate and submit work. Students have many opportunities to give their time to Collegiate and Richmond area organizations that serve others. From donating prom dresses to the Fairy Godmother Club to cleaning up trash on Blair Road with Earth Society, each effort makes a difference. Students are required to volunteer a total of 50 hours before they graduate. A Clubs Fair is held in September where students may sign up for any clubs of interest. The clubs vary from year to year depending on student demand. Meetings are held during Creative Flex periods in the Upper School schedule. Elections are held each year for members of our student-led councils. All four Upper School grades are represented, and students are assisted by faculty advisors. Both Honor Council and Judicial Council meet confidentially to consider breaches of honor and discipline and recommend action. 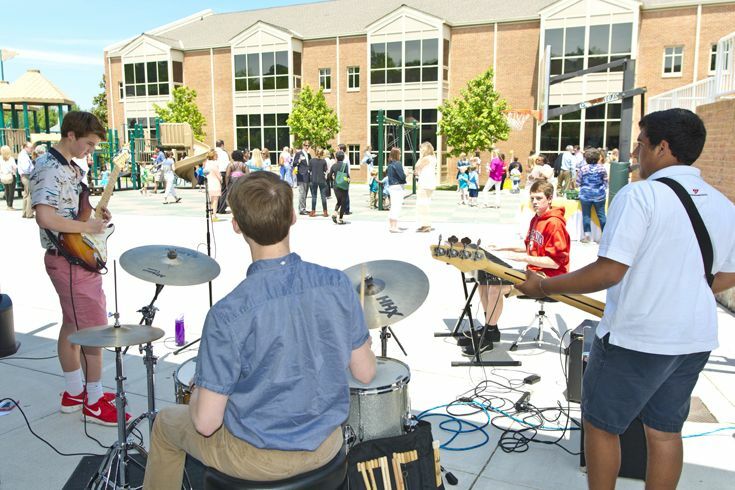 The SCA organizes events including Pep Rally, dances, skate nights and other fun activities.